ISLAND RAVE 2017! I join some talented DJs in Edmonton! 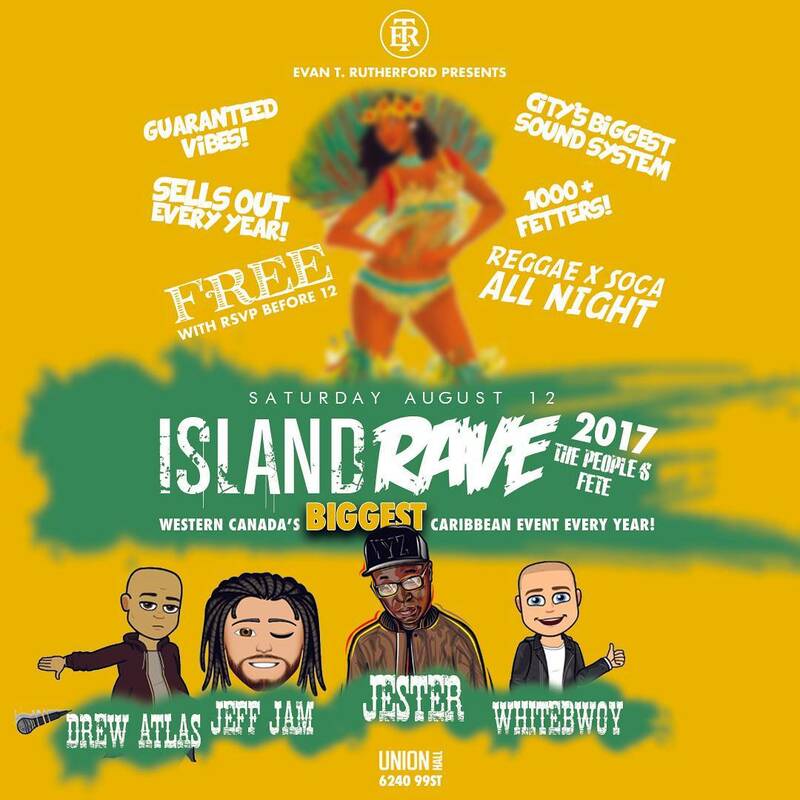 Join 1000+ fetters at Western Canada's BIGGEST annual Caribbean event! VIBES. Reggae & SOCA all night! FREE with RSVP before 11:30pm! Limited $20 tix available thereafter. More at the door! 780-504-1110! CURRY, ROTI X JERK CHICKEN ON SALE!